Full Programme is avaiable here. This two-day conference aims at bringing together both graduate students and early career researchers working on the nature of dreams, hallucinations and illusions, and provide them with a forum for discussing most recent findings and novel directions of research. Recently, the study of dream experiences has attracted renewed interest from both philosophers and psychologists. In particular, the two disciplines have been focusing on the phenomenal nature of dream experiences by highlighting the commonalities that dreams share with other similar mental states, such as hallucinations and imaginative states. However, this commonality-based approach leaves several key questions unanswered. In general, what kind of mental state best describes the nature of dreams? Are dreams essentially like hallucinations, or are they rather a type of imaginative state/mental imagery? If so, how do dreams differ from hallucinations and imagination? If not, what other models can provide a useful framework for thinking about the phenomenal nature of dreams? (3) A view in which dreams are defended as sui generis experiences, essentially different from both hallucinations and imagination (Windt, 2015; Andy Eagan, 2008). As a result, a significant amount of philosophical and empirical research has been carried out for investigating these three different strands. From a philosophical perspective, both the phenomenological character of dreams and the epistemological implications of their experience have been considered. Regarding the former, recent work in the in the Philosophy of Mind has attempted to clarify what experiences of dreams consists of by comparing them with different kinds of wakeful experiences. An example of this is the recent work by Voss and Windt (2018) who have investigated whether dreams can be understood as a form of spontaneous thought. Regarding the latter, Epistemological research has also been taken, considering the implications of accepting that dreams are a sort of imagination (Soteriou, 2016). Finally, on the empirical side, recent research on the phenomenological differences between dreams and hallucinations would seem to suggest that there is a substantial difference between these two types of experiences (Speth & Speth, 2018; Waters et al., 2016). We believe that promising future results on the question about the nature of dreams, hallucination and imagination can be made by comparing and contrasting these states and by following an interdisciplinary approach. For this, the conference aims at gathering together researchers from different disciplines to address questions concerning the nature of dreams, hallucinations and imagination. Attendance is free and open to all. However, for catering purposes, we require you to register. We will offer vegetarian and vegan options in our catering, but if you have any specific dietary requirements, please, contact us. We have been granted a number of postgraduate accommodation bursaries from the Analysis Trust and Mind Association for funding the accommodation costs for the contributors (the accommodation will be booked by us). We are afraid that these will only be available for the accepted speakers. The conference will be held at the TalkLab at the main Library of the University of Glasgow. The address of the Library is Hillhead St, Glasgow G12 8QE. 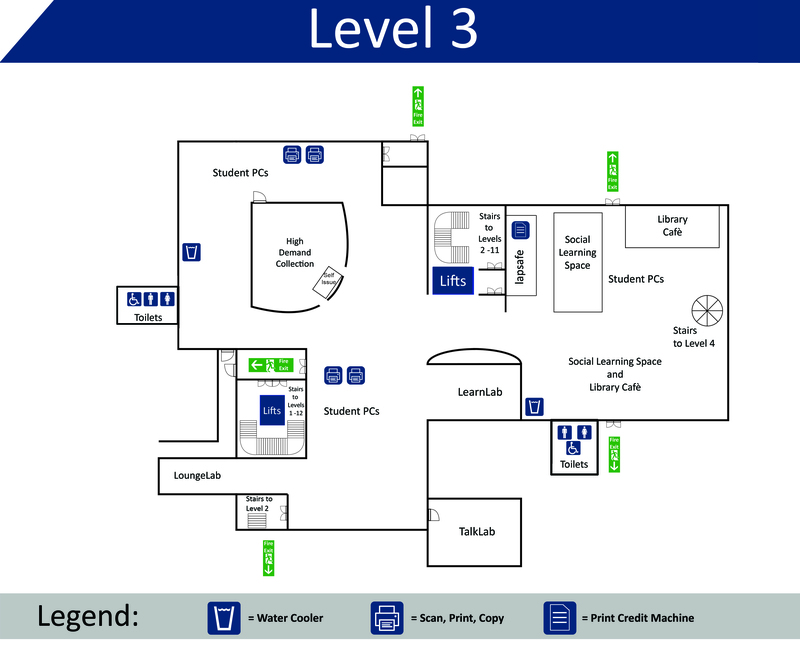 The Talk Lab is situated on the third floor (check floor plan). The building is completely accessible, and the conference room can be reached with the lift on the ground level. All talks will take place at the Talk Lab at the Library building and the catering will be provided in the Common Room at the Philosophy Department, 69 Oakfield Ave, Glasgow G12 8L (two streets from the Library building). You can also check any updates on the Conference website.